A Better Combustion for More Performance! Only a clean fuel system ensures an optimum combustion process under full load. 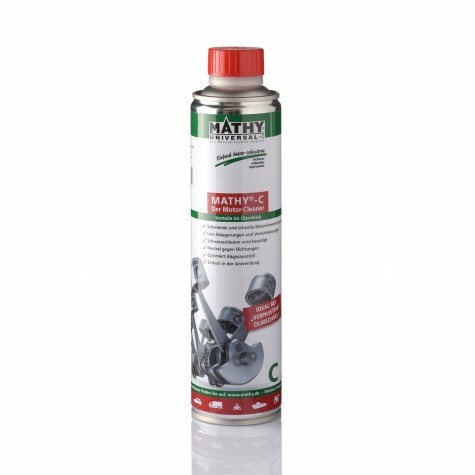 MATHY Fuel Additives clean all components washed round by fuel and keep these clean when permanently used. Valve and valve seats are gently freed from coking and they completely close again. Incrustations at the injection nozzles are broken down and the spraying pattern is improved. How are MATHY Fuel Additives used? MATHY Fuel Additives are added to the tank directly before refueling. If possible, the tank should be emptied to reserve before using MATHY fuel additives. This ensures optimal mixing with the fuel. Are fuel additives approved by vehicle manufacturers? Due to the increased bio-content in today's fuels, the combustion is unclean. This leads to increased coking and soiling of the injector nozzels, combustion chambers, valves, and valve seats. In the long term, the exhaust emissions will deteriorate [worsen]. Today, many vehicle manufacturers offer their own fuel system cleaner to counteract these negative effects. 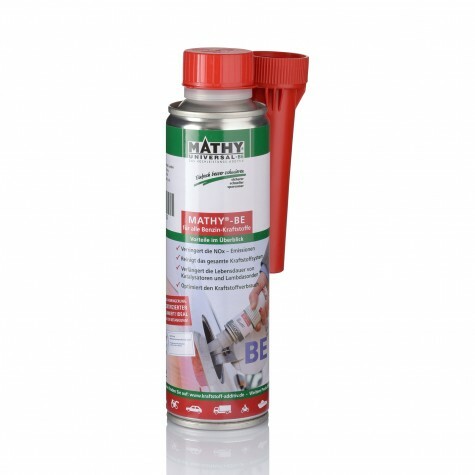 MATHY has been focusing on these issues for a long time and offers TÜV tested and certified system cleaners Made in Germany. For which areas of application are MATHY Fuel Additives available? 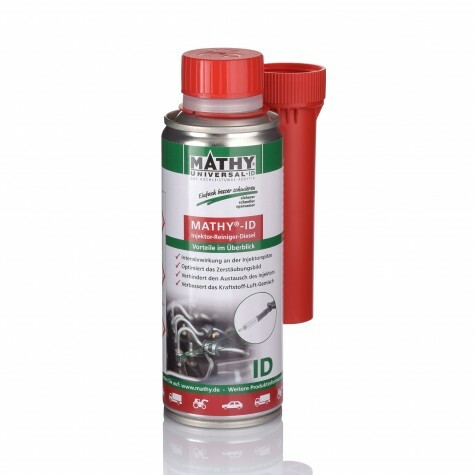 MATHY fuel additives are available for diesel, bio-diesel, vegetable oils, petrol / gasoline, and petrol-ethanol fuels, as well as for special system cleanings in the exhaust area, such as exhaust gas recirculation (EGR) systems, catalysts, and diesel particulate filters (DPF). 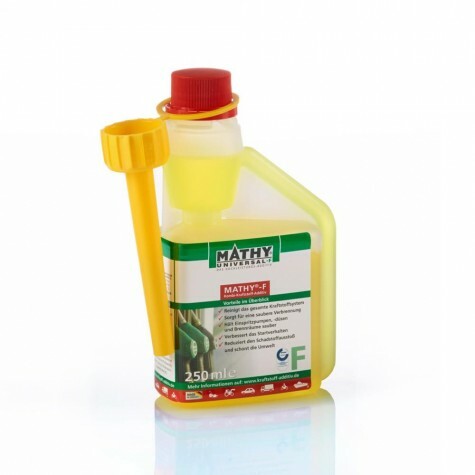 MATHY–D cleans the diesel fuel system and improves operation reliability and economy of diesel engines. Suitable for all diesel engines (CDI and TDI) and diesel fuels, summer and winter quality. 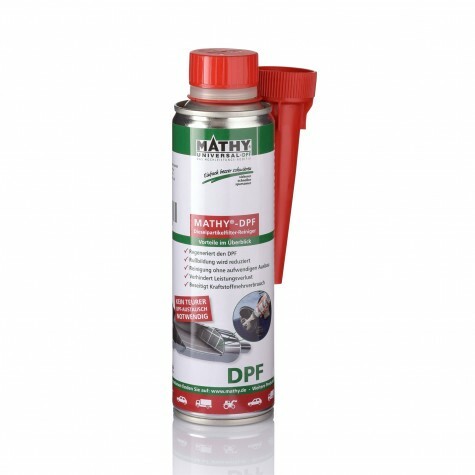 Suitable for all diesel oxidation catalysts and micro particle filters (DPF). It is also compatible with AdBlue.